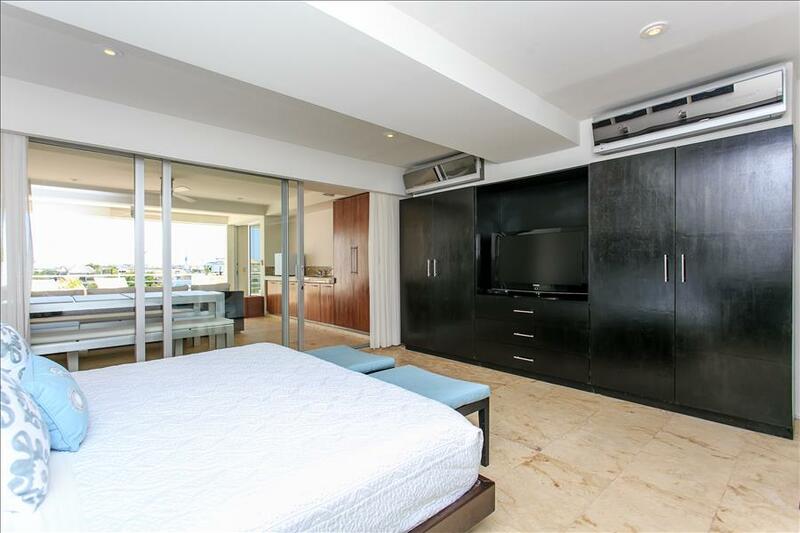 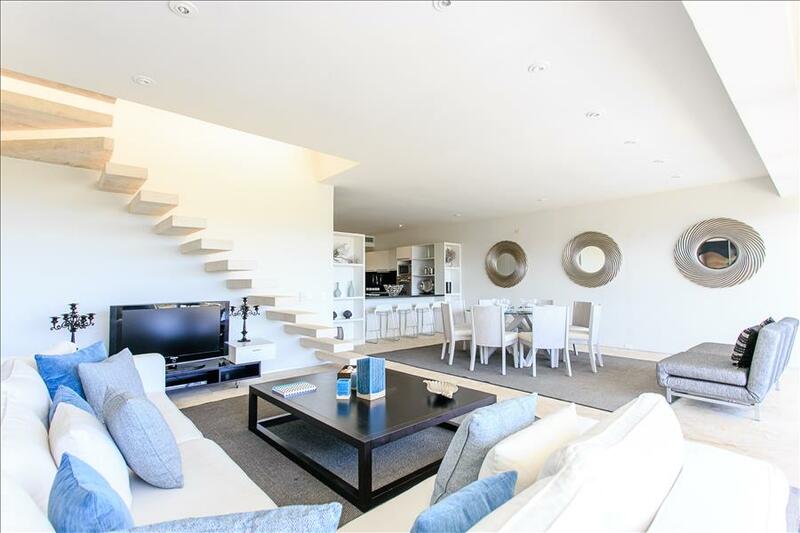 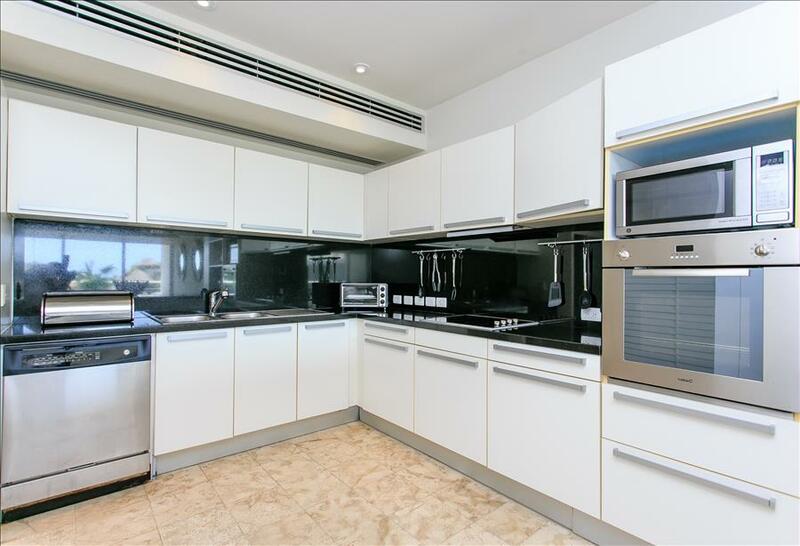 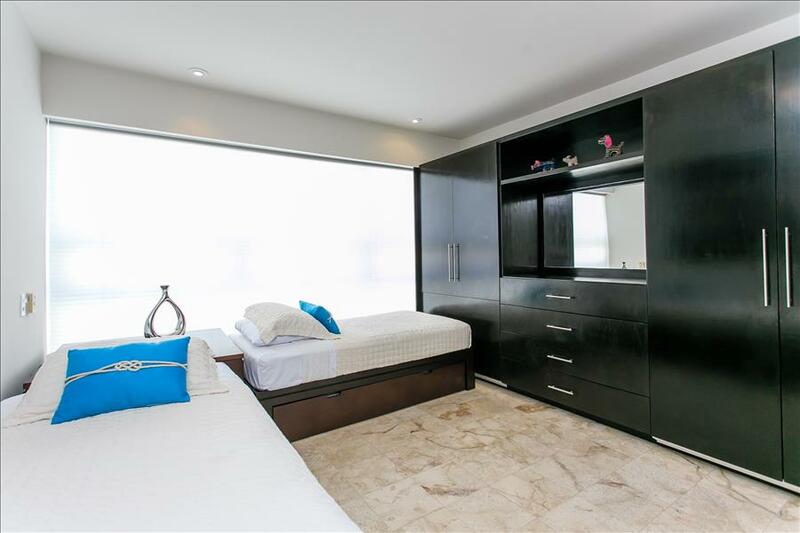 Magia’s Penthouse Sunrise offers three bedroom.There are two king bedrooms, each with an en suite bathroom. 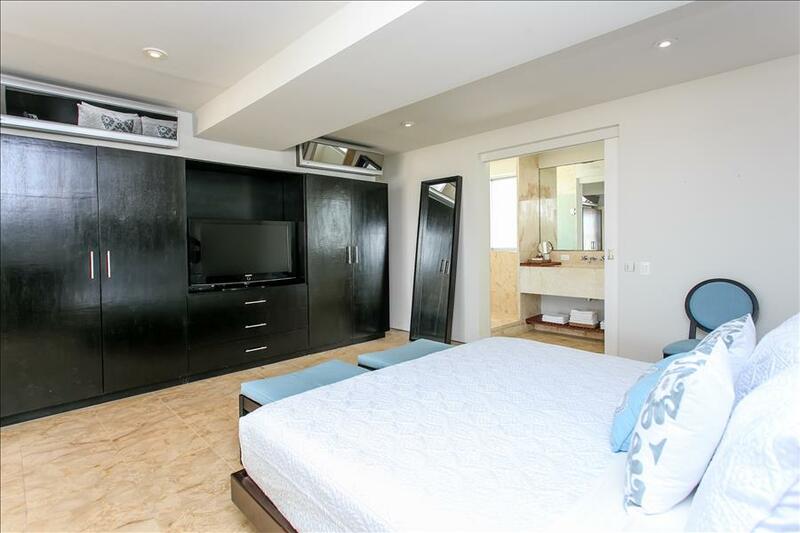 The third bedroom has two twin beds and a third pull out twin trundle bed with the bathroom adjacent in the hallway. 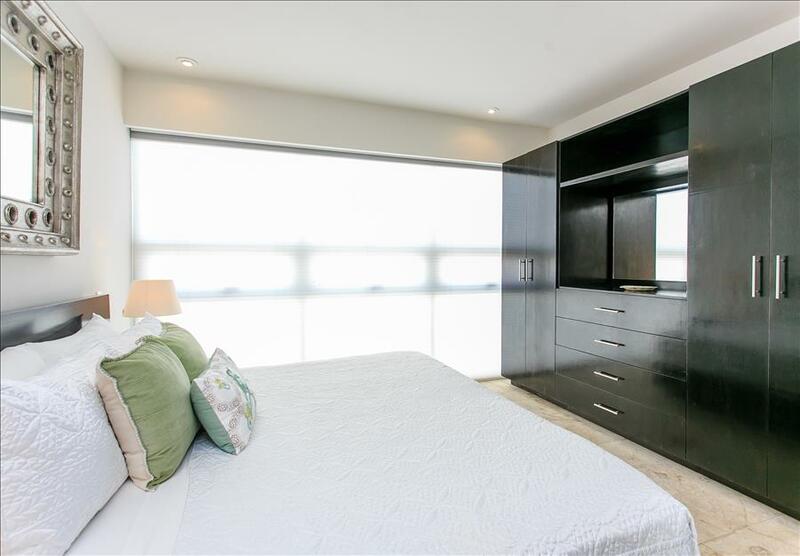 All bedrooms are equipped with remote-controlled blackout curtains. 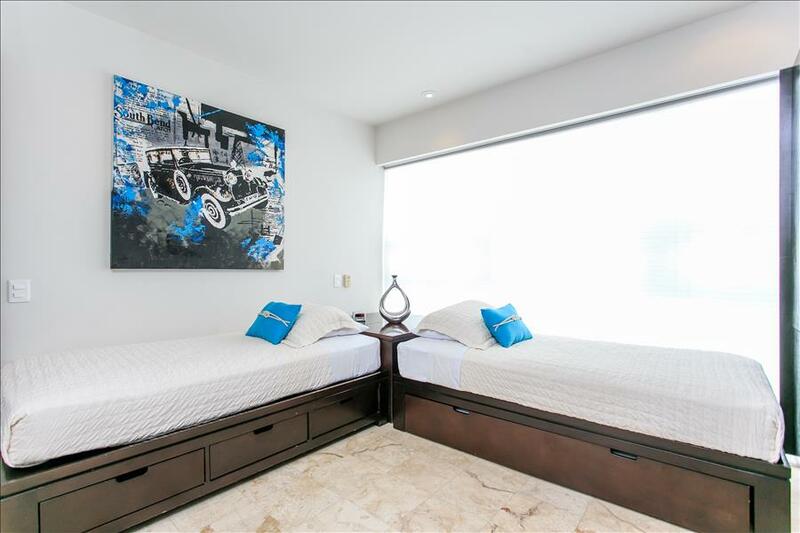 In the living area, there is a futon couch that can be made into two single beds or one double bed for an additional adult or two children. 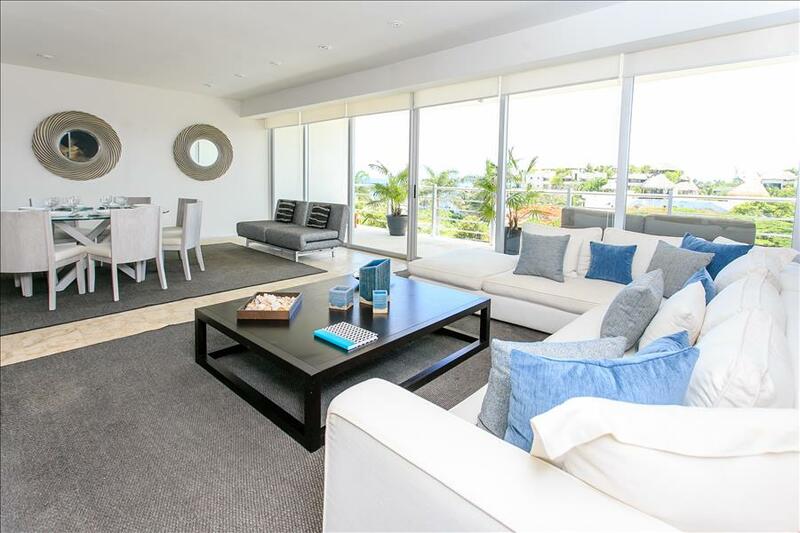 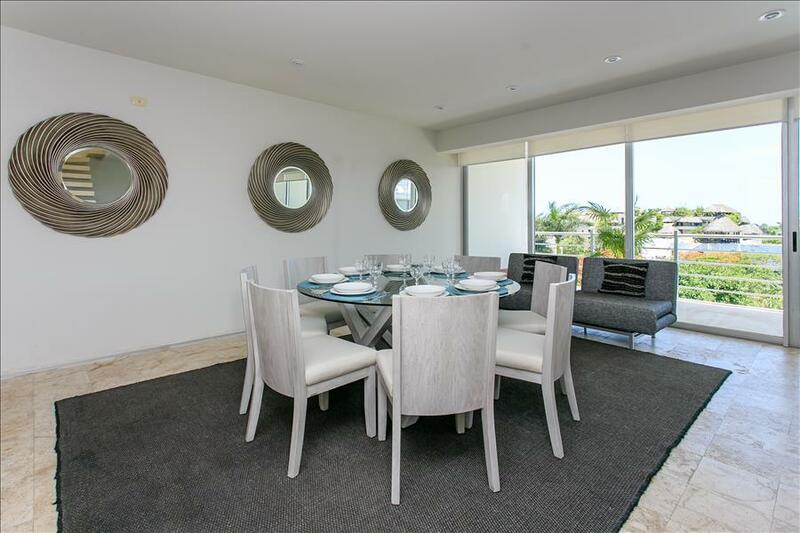 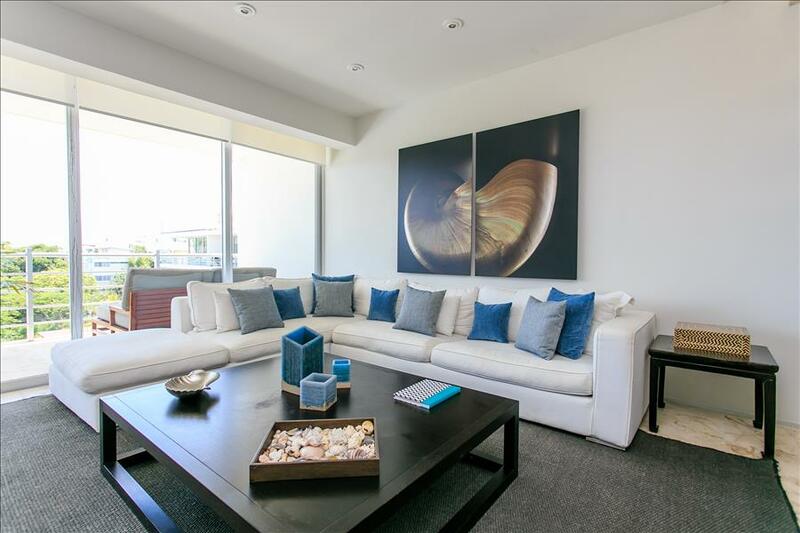 This spacious penthouse also offers fully equipped kitchen, comfortable living and dining room area and two great outdoor spaces to enjoy. 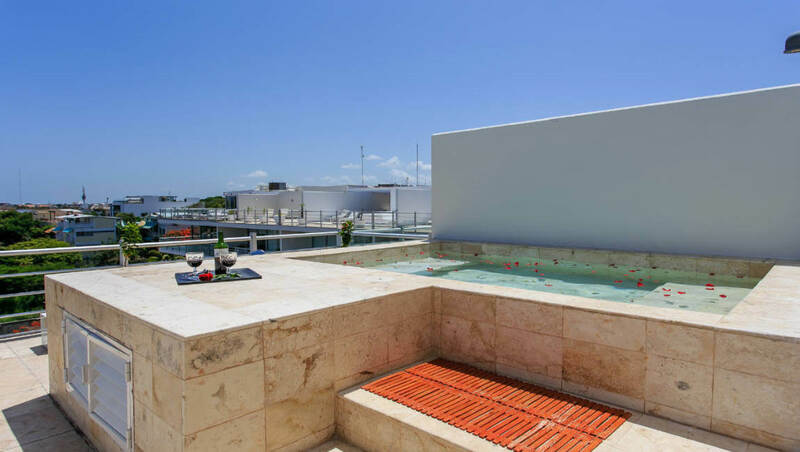 The private rooftop has a small splash pool and outdoor living space to enjoy; a dining table, sectional couch, wet bar and mini fridge. 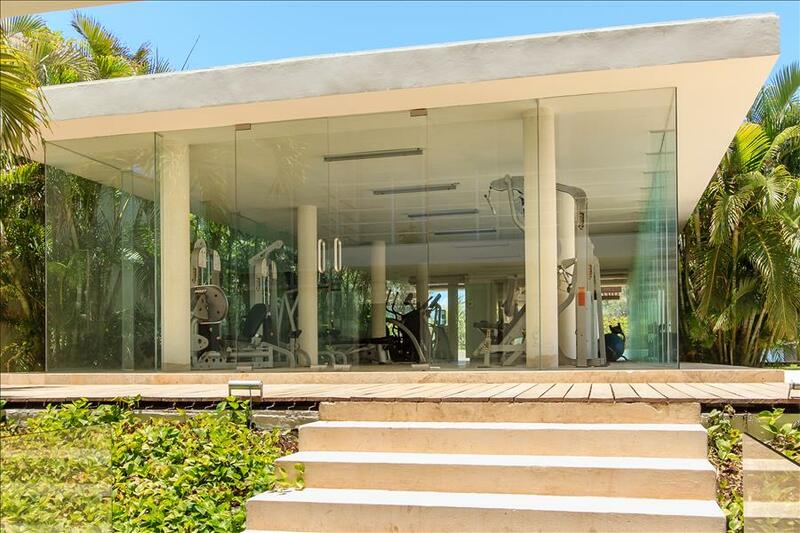 Magia common areas include a large swimming pool and gym, the complex has underground parking and secured entry. 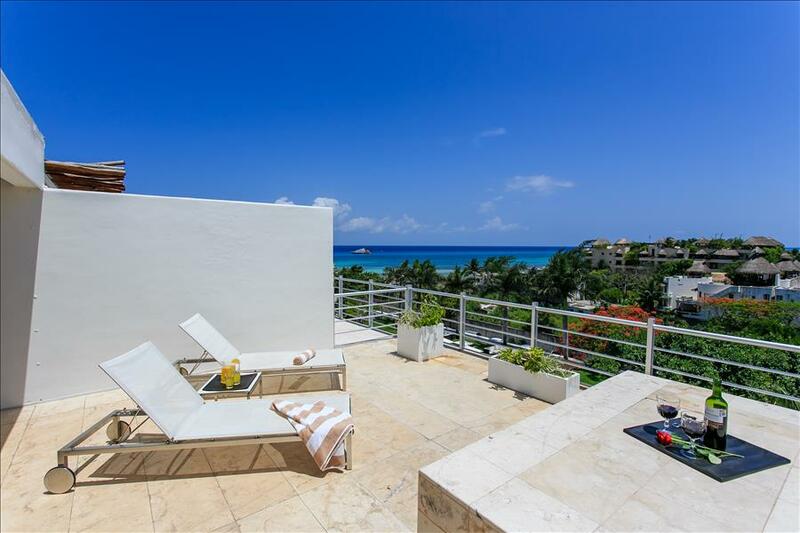 Swing in a hammock on the huge balcony or bask on the sofa or lounge chairs up on the rooftop while you take in the endless views of the Caribbean. 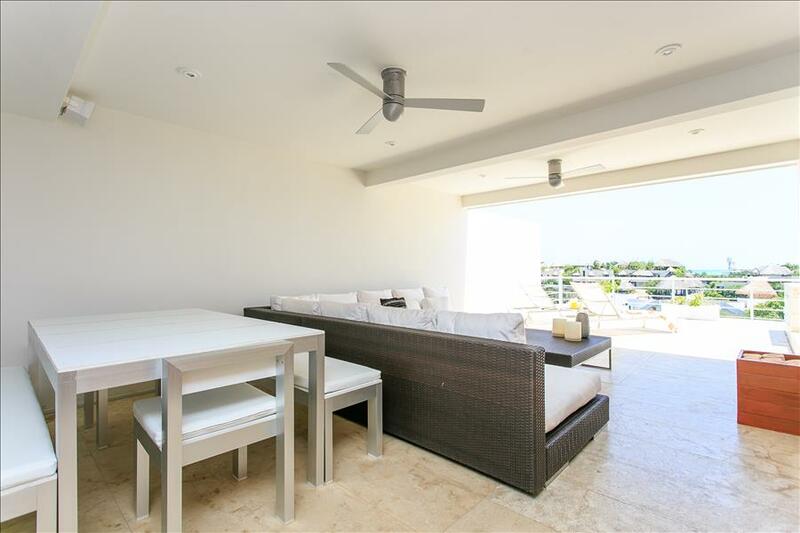 There are plenty of options for either shade or sun, and seating for your whole group. 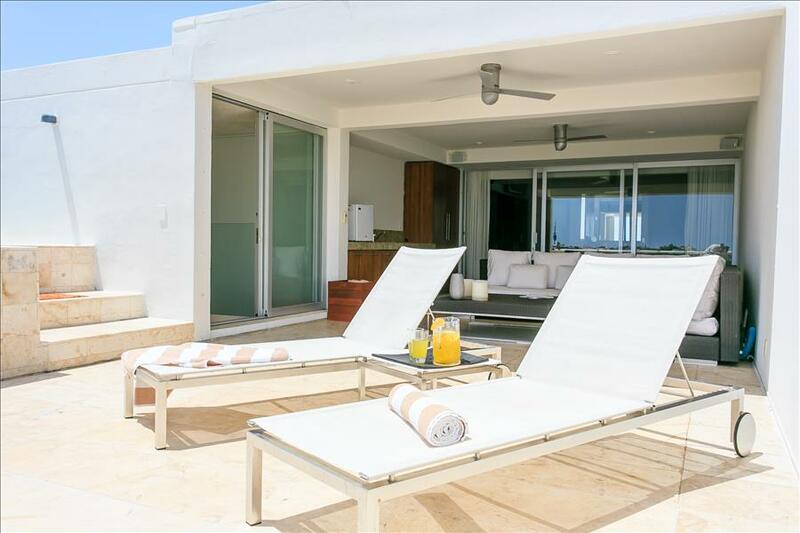 You can cool off with a dip in the private rooftop splash pool or enjoy the two resort-style pools in the common area. 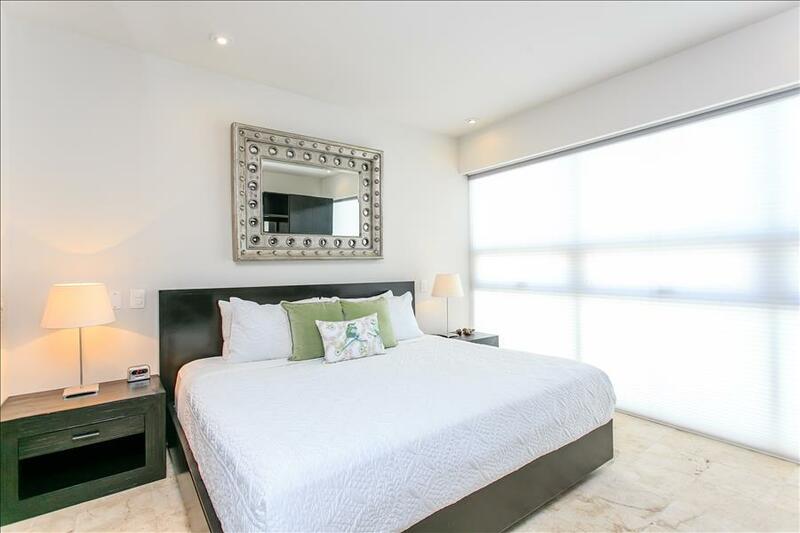 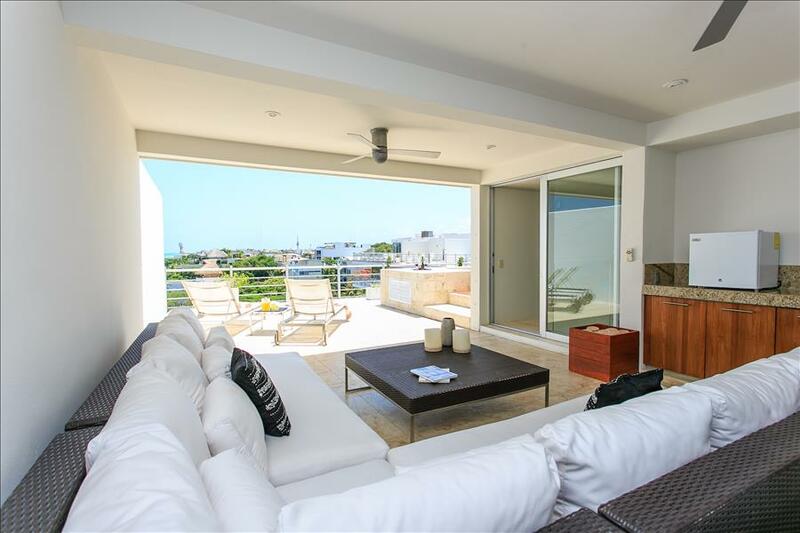 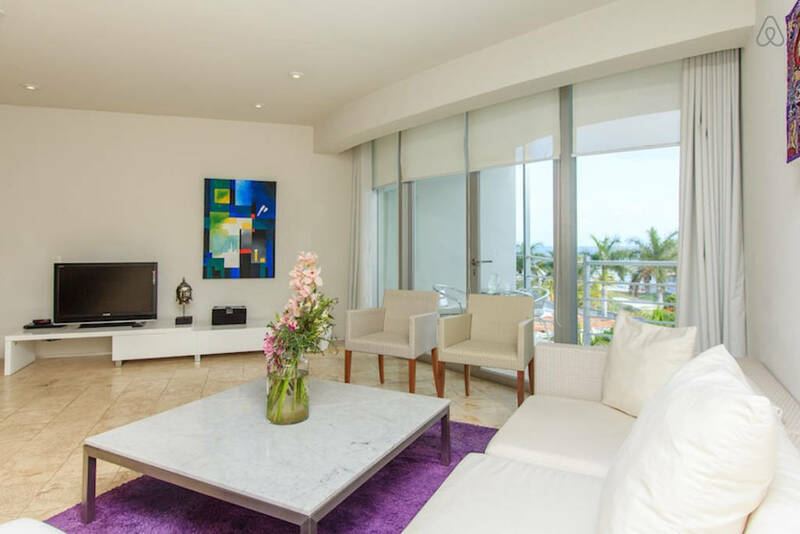 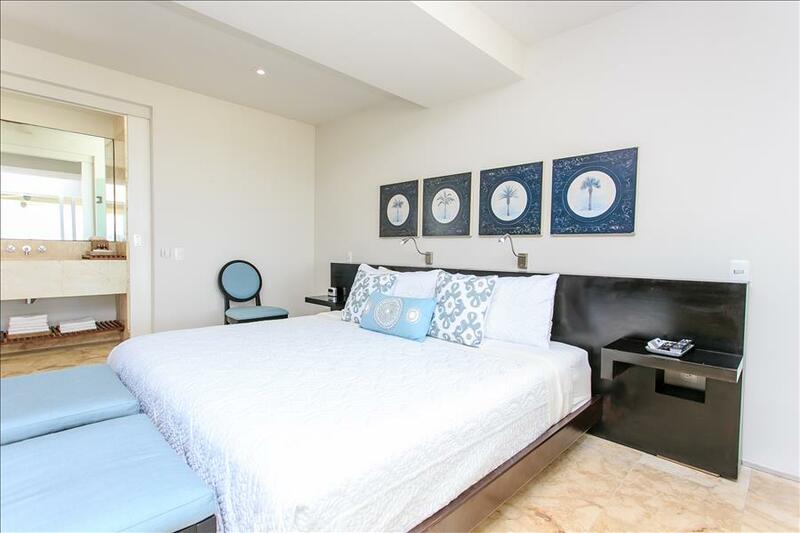 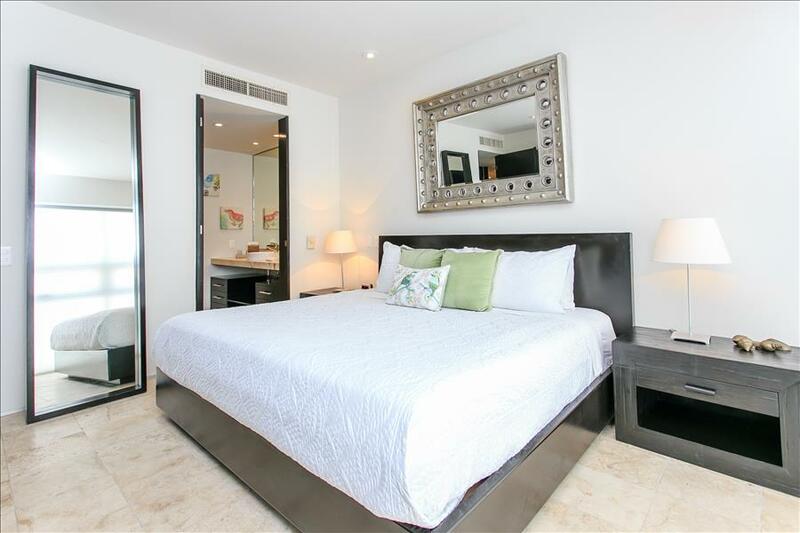 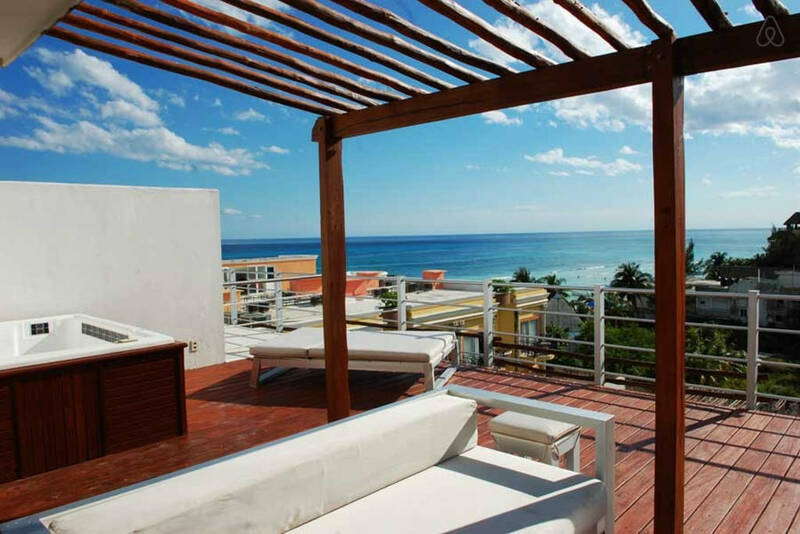 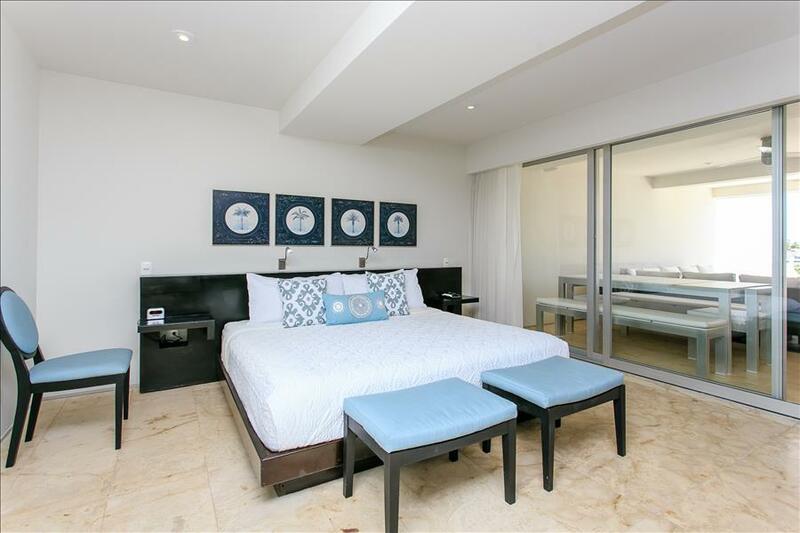 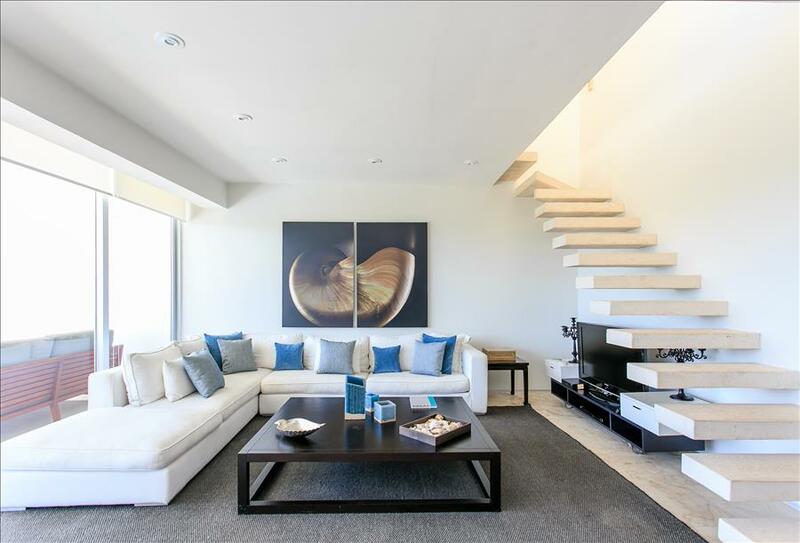 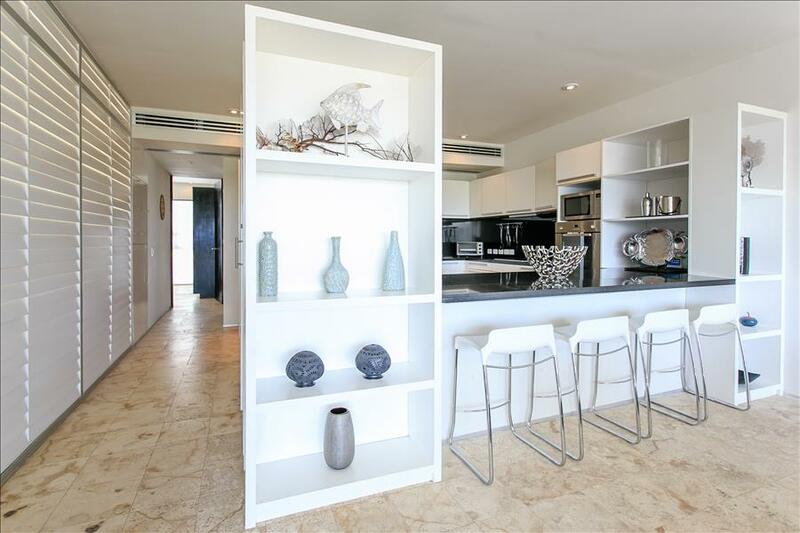 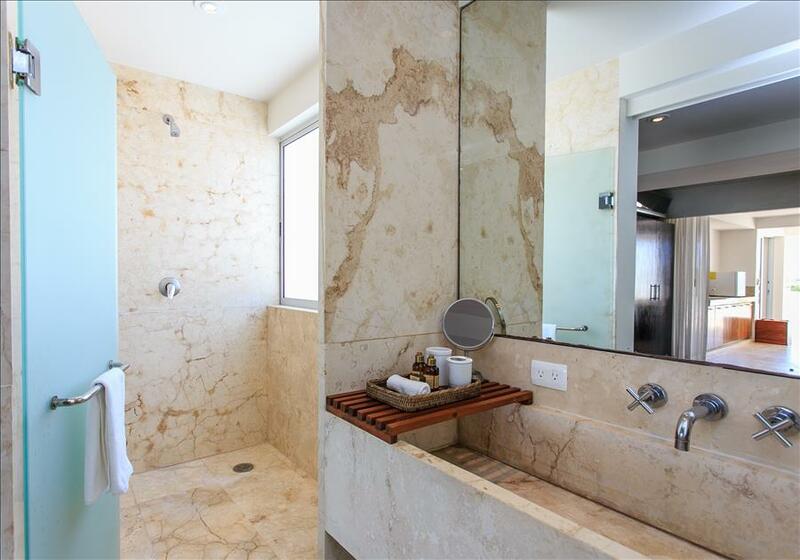 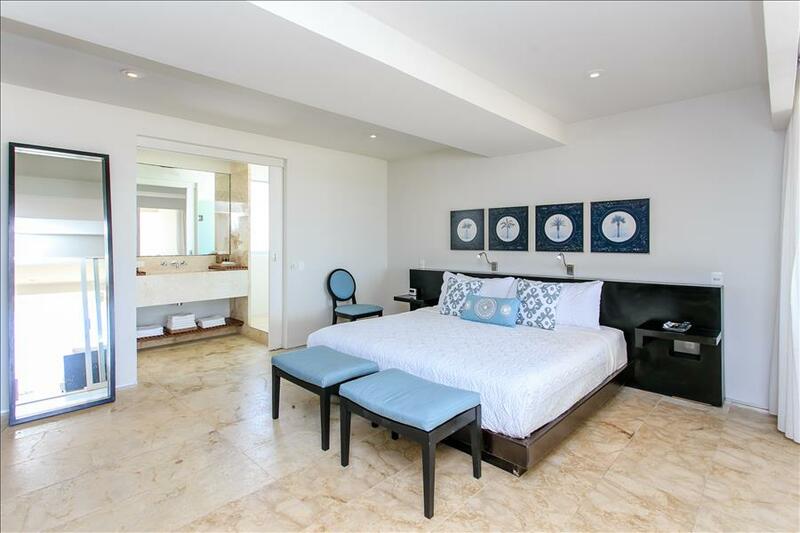 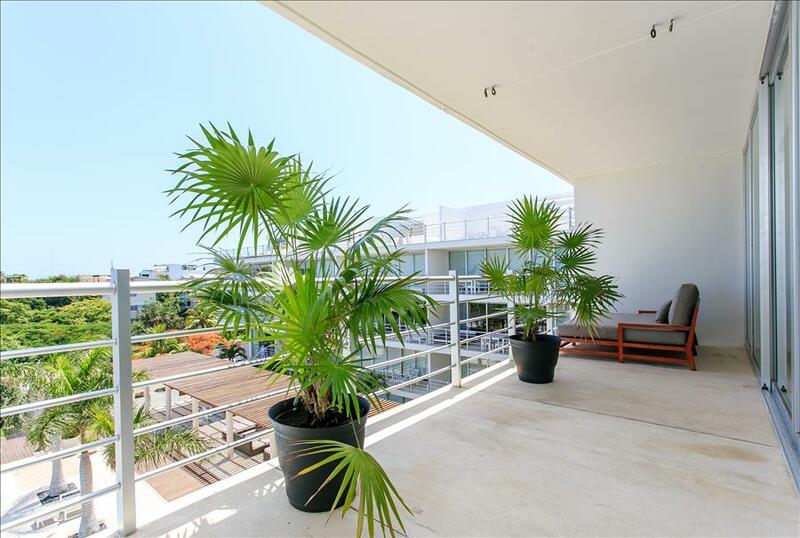 Penthouse Sunrise at Magia is a beautiful option for your Playa del Carmen vacation rental!